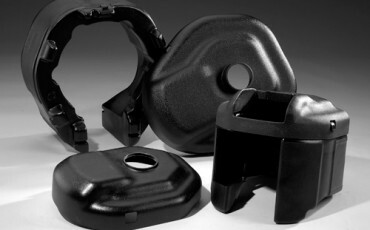 Gregstrom is a plastic parts manufacturer with complete assembly and testing services. 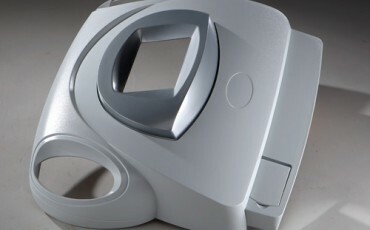 Our portfolio of thermoformed parts and rotomolded parts demonstrates our experience and our expertise. What can we create for you? 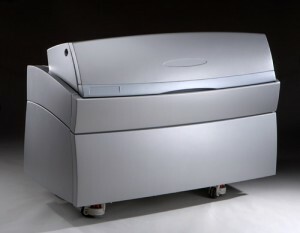 Choosing a rotomolder or a thermoformer is a business decision. 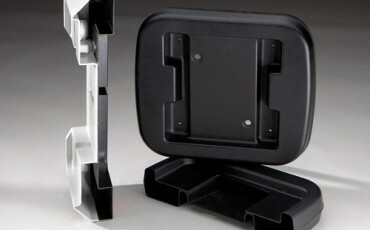 Molding and forming experience is important, but you also need a partner who understands your application requirements. Gregstrom Corporation’s project portfolio demonstrates our technical skill and industry knowledge. Review our featured projects, too. 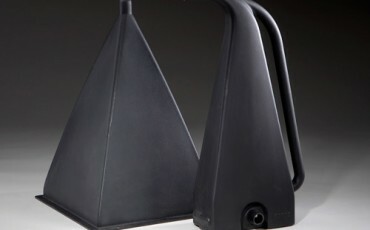 Rotomolding creates plastic parts like these in a variety of shapes, sizes, textures, and colors with features such as undercuts, multiple walls, and molded-in hardware and graphics. Rotomolded 3D printer housings support and protect additive manufacturing equipment for prototyping and parts production. 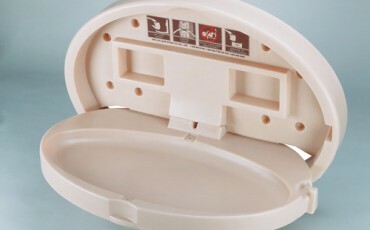 Rotomolded baby changing stations promote more than just safety, cleanliness, and ease-of-use. 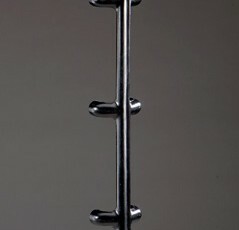 They integrate with hardware, fabric straps, and are wall or surface mounted. 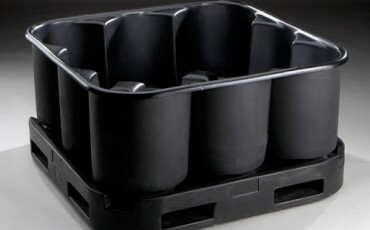 Rotomolded bins and pallets hold bulk materials and support material handling in warehouses, distribution centers, and industrial facilities. 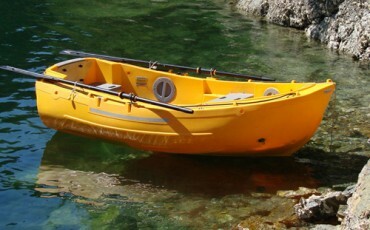 Rotomolded boats are strong, lightweight, and virtually unsinkable. They’re also easy to maintain because colored plastics don’t require painting. Rotationally Molded Chemical Feeder Assemblies integrate with dispensers for chemicals such as chlorine. Rotomolded POP displays for coffee help retailers sell brewed beverages. 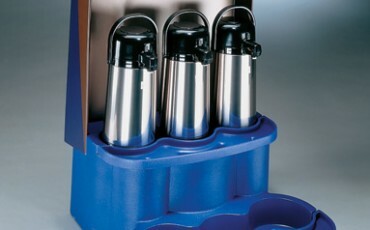 They resist spills, are easy to clean up, and include compartments for storage. Rotomolded lawn and garden equipment housings integrate with outdoor equipment are tough enough to withstand the elements. Rotomolded manifolds can replace more expensive metal parts in industrial systems. Benefits include lightweight and corrosion-resistance. Rotomolded mufflers for industrial applications have lower material costs than comparable metal parts. 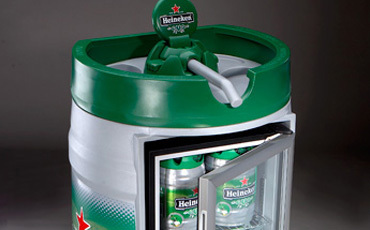 Rotomolded POP assemblies for refrigerated products such as beer need to be functional and attractive. That’s why this portfolio item is one of our featured projects. 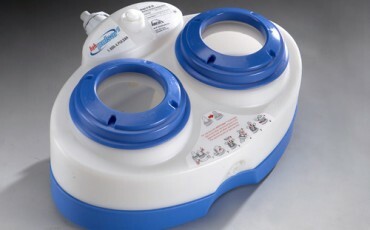 Rotomolded powder chemical dispensers mix, handle, and distribute measured quantities of chemicals such as chlorine. Rotomolded shopping cart accessories integrate easily with metal shopping carts. 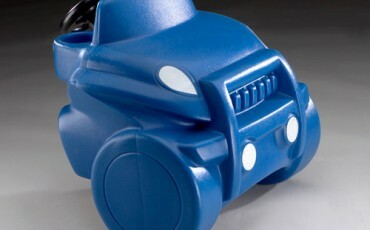 Colored, non-toxic plastics provide a smooth surface finish. Rotomolded spine boards immobilize a patient’s spine during pre-hospital trauma care. 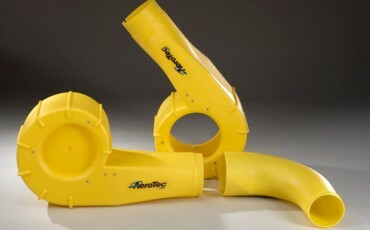 Rotomolding creates lightweight medical devices for medical transport. 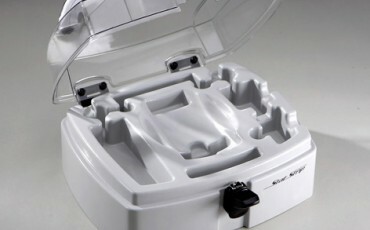 Rotomolded tanks are used to store a variety of liquids, and are often made of plastics such as polypropylene and polyethylene. 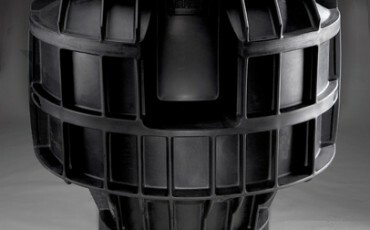 Rotomolded ventilation ducts support airflows in HVAC systems. These plastic parts are a cost-effective alternative to metal ductwork. Gregstrom offers three types of thermoforming services: vacuum forming, pressure forming, and twin sheet forming. 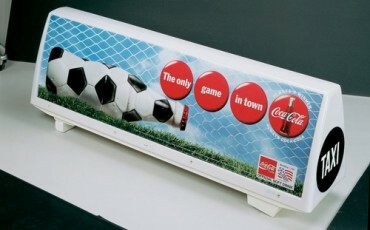 Check out our portfolio of thermoforming projects. 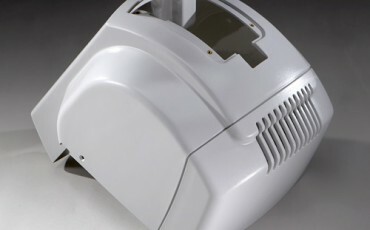 Vacuum forming supports quick start-ups and efficient prototyping. These example are just a few of Gregstrom’s success stories. 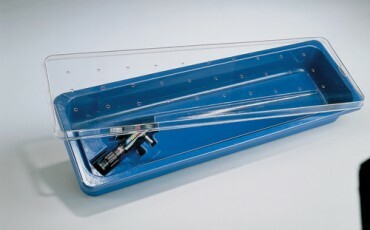 Vacuum formed medical instrument case assemblies demonstrate that cost-effective, heavy-gauge plastic parts can replace more expensive medical components. In addition to vacuum forming the base and clear cover, Gregstrom assembles the latch, handle, and hinges. Vacuum formed medical instrument cases and covers are strong and lightweight, but also easy-to-clean and built for repeated use. Vacuum formed taxi tops are built to withstand the elements and mount to vehicle rooftops. The also feature easy-to-read, attractive messaging. 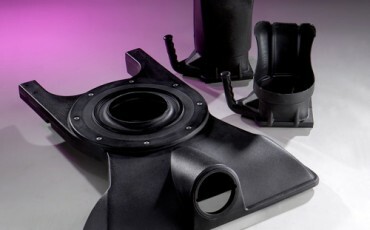 Vacuum formed printer assemblies help protect printer components and electronics. They’re high-quality but cost-effective. 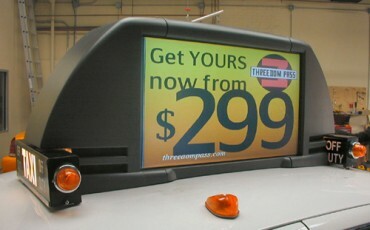 Pressure formed digital taxi media display assemblies mount to vehicles, resist the elements, and integrate easily with lights, electronics, and metal hardware. Pressure formed instrument housing assemblies are attractive, long-lasting, and easy-to-integrate with other medical, electronic, and other types of instruments. Pressure formed medical laser assemblies are used in dermatology, oral surgery, podiatry, and other laser surgery or laser therapy applications. This portfolio item is also one of our featured projects. 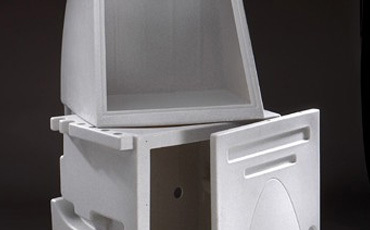 Twin sheet thermoformed instrument housings resist cracking, support repeated use, and replace metal components with cost-effective plastic parts.